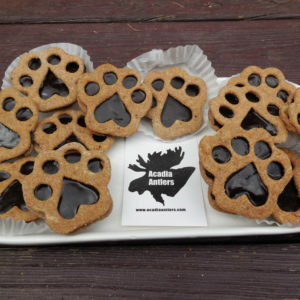 Pick up something healthy and delicious for your dog at the next Sugarloaf Craft Festival from Acadia Antlers. This Ramsey, New Jersey company is owned and operated by Carol Plescia, and it is a family-owned business that is one of the premier sources of antler dog chews in the Northeast. Acadia Antlers sources its moose antlers from Maine, using only antlers shed by moose in the area. The company uses environmentally responsible practices by recovering these antler sheds to reduce its carbon footprint while providing dogs with an all-natural chew toy. Dog chews from Acadia Antlers come in a variety of sizes and flavors to suit just about any dog breed, and they are non-splintering, so you don’t have to worry about your dog injuring its mouth or choking while chewing. These antler chews are long-lasting and non-messy, and they’re a natural source of calcium and minerals with trace amounts of iron, zinc and sodium.